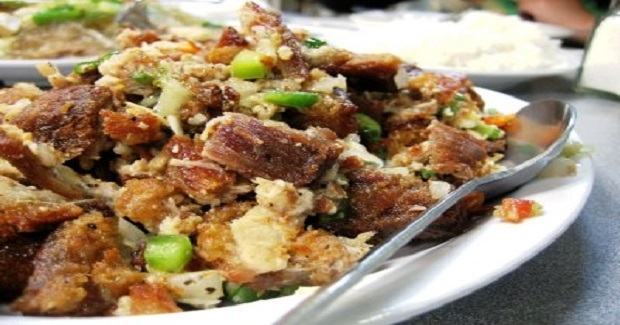 Pork Lechon Sisig Recipe - Gutom Na! Posted on Sunday, December 4th, 2016 at 10:25 am. Put-in onion and cook for 2 minutes or until soft. Put-in the garlic powder, soy sauce, salt and pepper. Revolver. Cook for 5-6 minutes on high heat. Add the mayonnaise. Stir and cook for 3 minutes. Transfer to a serving platter. You can squeeze lemon or calamansi and add hot sauce if desired.